The unsuspecting drug mule originally thought it was a freshener packet. GILLIAN RODGERS FROM Auckland, New Zealand got quite the surprise when she decided to clean out her old suitcase in preparation for a trip. The 74-year-old grandmother discovered $50,000 (or €30,710.50) worth of amphetamine stashed in a side pocket. Rodgers hadn’t used the suitcase in four years but decided to take it on an upcoming trip to Blenheim. While having a look through it, she found some white powder, tightly-packed and about the size of a standard pack of cigarettes. Speaking to the New Zealand Herald, Rodgers said that she initially had no idea that the substance could be anything untoward. I was clearing it out and I saw this packet of white stuff and I thought, ‘wow what’s that?’ I thought it was something to keep the suitcase dry. It was like a plastic packet, about three inches by two inches, and it was solid, like a cushion. Unsure, Rodgers took it to the Albany police and was shocked when she got a call to tell her it was in fact 55g of amphetamine. I didn’t for one minute expect it to be drugs even though we were joking about it that it might have been. The police have now launched an investigation. Gillian claims that all compartments were locked aside from that one, and she hadn’t used the bag since a month-long cruise around Australia four years ago. She suspects that she was being used as a mule, and is now concerned that she was followed. I’m baffled. Of course I didn’t see anybody put it in there. The only time I was not in my possession of my luggage was when it was on the carousel and when I put it on the X-ray machine. Luckily for her, she wasn’t caught at the airport, but finds the prospect “terrifying”. While this causes for some screening concerns at Auckland Airport, customs spokeswoman Nicky Elliot said that there was no way to know when the drugs were planted. This could have happened anytime since she last used the suitcase. 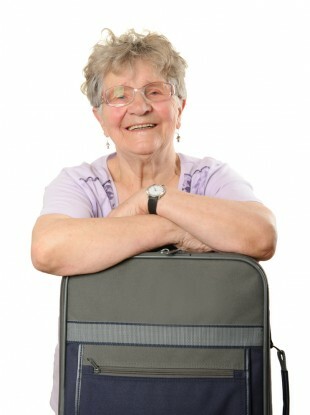 Email “Granny discovers €30k drug stash in case four years after holiday”. Feedback on “Granny discovers €30k drug stash in case four years after holiday”.